Since there are so many of us, words can’t describe how much you mean to every single one @badgalriri! So instead we’ll just show you! Here is the final #Rihanna30 video collage of our wishes to you Robz! Happy 30th Birthday!! And thank you yo all who participated! Share this video if you’re in it ?? Happy 30th Birthday Rihanna from the UR Team and your Navy! Since there are so many of us, we decided a video says a thousand more words, so here is our #Rihanna30 birthday project to show our love to you! Posted by An.J / Filed under: News / Leave a comment? Merry Christmas and Happy Holidays to everyone! Lots of love, Angey and Alex from the UR Team! The Global Awards celebrate stars of music, news & entertainment and want our help deciding who’s best! Have your say on who wins by voting for your favourite acts and songs in five categories, and nominating the news moment of the year that really stood out for you. Rihanna has been nominated as Best Female along with 13 other artists. Make sure to cast your vote on vote.global.com! Posted by An.J / Filed under: Awards Nominations / Leave a comment? Rihanna was the special guest at Top Dawg Entertainment’s 4th Annual TDE and Friends Holiday Concert in Watts, Los Angeles today. The label imprint hosted their fourth annual toy drive in Watts, where artists put on a free concert for fans who brought toys and donated items to the community’s underprivileged youth. 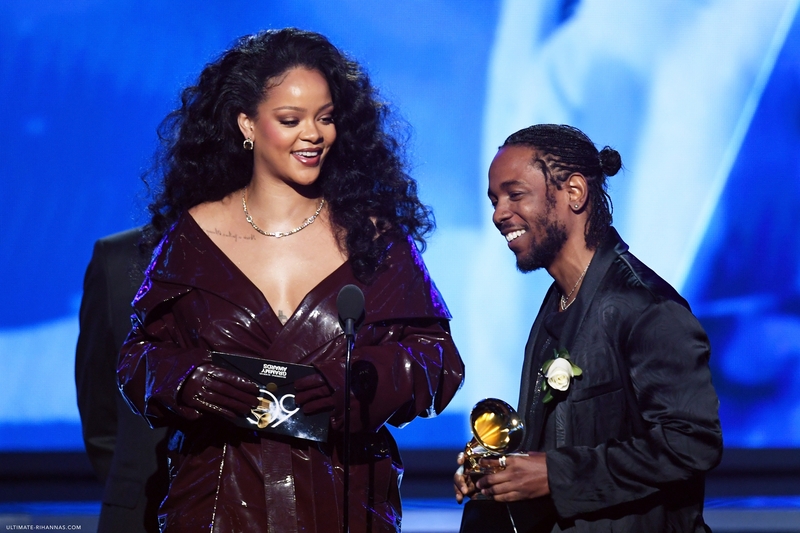 Rihanna performed a medley of Loyalty, Lemon, Wild Thoughts and BBHMM joined by Kendrick Lamar. Watch a few videos below and head over to our gallery for photos. After the show Rihanna continued the night out with a Fenty Corp Christmas dinner and a Jay-Z concert in LA. Posted by An.J / Filed under: Appearances, Charity / Leave a comment?